This week in North Philly Notes, Ann-Marie Anderson, Marketing Director at Temple University Press, remembers her experience working with the late, great poet Maya Angelou, who wrote the preface for Hope and Dignity, by Emily Herring Wilson and Susan Mullally Clark. Well, I was mesmerized by her words and voice. A picture of her I got from somewhere that I no longer recall and had with me at the event, was later signed by her “Joy! Maya Angelou 12/4/85.” It remains on my bulletin board today, as does her ’93 Clinton inauguration poem “On the Pulse of the Morning.” She was my hero. So when a few years later, I had the incredible opportunity to work “near” the infamous Maya Angelou, it felt like I had died and gone to heaven. She had written the preface to a book we were publishing entitled Hope and Dignity. Hope and Dignity is a collection of interviews with and photographs of a variety of older black women living in North Carolina. It celebrated the women’s triumphant spirits, having overcome many of life’s obstacles. Back when newspapers had book review sections, the book was favorably reviewed in a number of them, including the Philadelphia Inquirer, the Los Angeles Times, and the Winston-Salem Journal, among others. The best part of the book’s promotion was a weekend-long series of events that were held in North Carolina to celebrate the book’s publication. As the Press’ promotion and sales manager at the time, it required my involvement. And…Maya Angelou lived in North Carolina! I couldn’t believe my good fortune as I boarded a plane headed for Winston-Salem, a city I’d never been to nor knew anything about until then. That weekend, I met a host of my literary giants, black women like Paule Marshall and Eleanor Traylor, and sold a lot of copies of Hope and Dignity. But the most incredible event was a dinner at Maya Angelou’s house, prepared and served by none other than the grand lady herself. She sang while she cooked, and danced throughout the house to music, some of it live from a duo of gospel singers she’d also invited. The meal was spaghetti and meatballs with salad and, needless to say, it was delicious. Maya Angelou was a “phenomenal woman.” I will miss her. 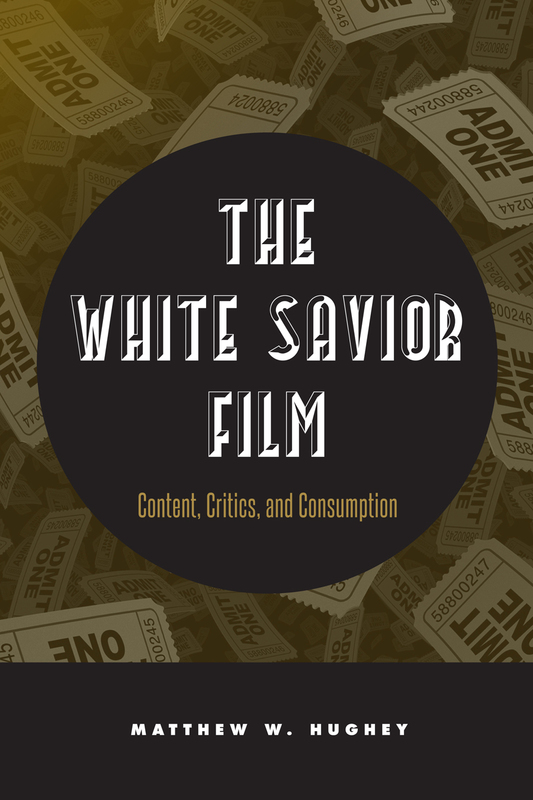 In this Q&A, Matthew Hughey, author of The White Savior Film, discusses this provocative genre of films in which heroic white characters uplift racial others. Q: How did you first encounter the white savior film genre? MH: I was studying racial representations in the media. A lot of activists and scholars talked about “negative” representations of people of color or how white people were nearly always represented in a “positive” light, but few people discussed the relationships between white and nonwhite characters.I found films like Cry Freedom (when a white journalist becomes the hero in a story supposedly about the slain black activist Steven Biko) or Mississippi Burning (when a two Northern white FBI agents become the protagonists in a story about Southern, black-led Civil and Human Rights activism) to justify and legitimate white paternalism and superiority. This developing trend signaled a new and disturbing moment in media representations of race and race relations. Q: Do you believe that white savior characters are necessary identification points for white audiences to understand foreign/exotic people and cultures? MH: I don’t believe that such a tactic is necessary in an objective sense. Our collective desire for such stories seems to result from our allegiance to Western myths about the distribution of morality, intelligence, and innocence across the color-line. That is, those very concepts (e.g., morality) are racialized; there is a host of sociological research that demonstrates how people identify whites (when compared to nonwhites) as more deserving of resources and leadership because they are assumed more naturally intelligent, innocent, and hard-working. Given our current racialized worldview, it should be no surprise that stories about white redeemers carry so much purchase. Q: You present the book in three parts: content, reception and consumption. Why did you take this particular approach? MH: I wanted to examine the most popular 50 films over the last twenty-five years to look for their common denominators—something no one else had done. I also wanted to examine how film reviewers operate as interpretive communities that are influenced by the racial climate in which they make their supposedly individual appraisals. In addition, I wanted to know how people interpret these films both consciously (what they are aware of) and unconsciously (how their social background influences what they see and how they interpret it). Together, that tripartite approach takes seriously the production, distribution, and consumption side of media without valorizing one at the expense of the other. Q: The content section focuses on how white savior films like Grand Torino treat racial issues and difference. Do you think any particular films do it particularly well or poorly? MH: Hollywood films on race are not suitable stand-ins for sociological analysis, so I’d have to say not many treat racial issues very well. In fact, most portray nonwhites through a host of stereotypical tropes (blacks are dumb and drug users, while Hispanics and Latinos are gang members and lazy) while whites are portrayed as vicious racists of a Nazi ilk with the exception of one white virtuous savior that wishes only to redeem people of color. Moreover, these films’ redemption stories turn on an assumption that the white savior must remove nonwhite people from their own communities to be successful. Once saved, the characters of color must stay far away from their families, communities, and former cultures. Being saved, it would seem, means entering into a nearly all-white world. These are hardly competent treatments of race and race relations. Q: The critical chapters show what reviewers felt about white savior films—how they analyze and interpret the themes and their effectiveness, as when they write about the inspirational moral triumph in The Long Walk Home, or the oversimplification of Dangerous Minds. Do you think critics have agendas when they write about white saviorfilms? Or are they really honing in on the point of these films? MH: Film critics are generally trained to engage in some kind of artistic interpretation. Their stated agenda is to evaluate the quality of the film in question. While critics may attempt to do just that, I found the presence of significant interpretive patterns amidst their supposedly individual aesthetic evaluations. And these patterns seemed not the product of expert consensus, but seemed guided by the dominant understandings of race at the time of their writing. That is, among the nearly 2,800 film reviews written from 1987 to 2011, I found that critics’ appraisals followed suit with how media events involving African Americans, Asian Americans, Latino/Hispanic Americans, racial relations, and hot-button racial topics such as affirmative action, civil rights, and hate groups were discussed in the media. By exploring the relationship between the interpretive community of film reviewers and perceptions of U.S. race relations, I was able to show how variations in understandings of race seemed to guide the interpretive strategies critics used to understand and evaluate these films. MH: When film represents off screen social issues and historical events, the line between entertainment and education is vague if not non-existent. Like it or not, media like film teaches audiences about social life—about how it was, is, or should be. Audience members take film seriously and think about its possible effect on them, their children, and society writ large. In our supposedly “post-racial”—and soon to be post-Obama—moment, these films are increasingly popular with Western-located whites (in both the U.S. and Europe). They are marketed as plausible and moral narratives in which whites are invited to idealize and identify with these white saviors qua role models and to take up a racial crusade. Some movie-goers see this as a well-rehearsed and somewhat over-played stock character and device. But the danger is when many defend the supposed lack of ideological slant or racial politics in these films, by referencing that they are based on actual, historical events. The “based on a true story” phrase may seduce audiences into an uncritical appraisal of these films. These films subtly rewrite historical events so that white colonizers, paternalistic controllers, and meddling interlopers seem necessary, relevant, and moral. Q: Has there been a white savior film that satisfied both white and minority audiences, or do you think one can be made? MH: Many of the films covered in the book do satisfy both white and nonwhite audience members according to the data I analyzed in my focus groups and interviews with audience members. This very fact is a part of what makes these films so dangerous. They are able to justify, rationalize, and legitimate white paternalism and nonwhite dysfunction and get hands of all colors to clap by the end credits. 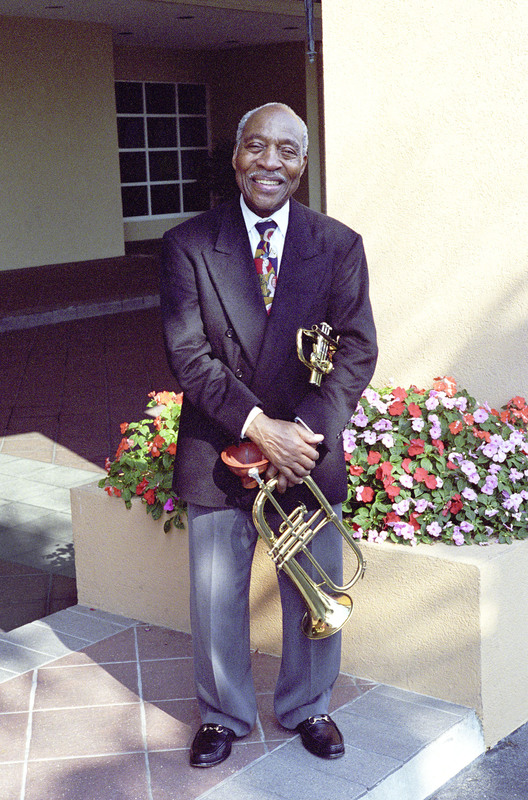 In this blog entry, Edward Berger, author of Softly, with Feeling, remembers the subject of his book, trumpeter Joe Wilder, who passed away last week. Joe Wilder died on Friday morning at the age of 92. He last played the trumpet in public in 2012, and up until a year or so ago he was still able to attend social and musical events, riding the New York subways and buses. His father lived to be one hundred, and I always thought that Joe would certainly be around to take part in book signings and other events surrounding the publication of our book, Softly, With Feeling. I say “our” book, because, although it’s not an autobiography, Joe took such an active interest and contributed so much to it that he was much more than a mere “subject.” Joe and I had been friends since the early 1980s. As many others, I became infatuated with his beautiful trumpet sound and wholly original approach to improvisation. As I got to know him, I quickly realized that he was as great a person as he was a musician—and that’s saying something! Over the years I had interviewed him publicly, written about him for Jazz Times and other publications, and taught a course with him at Jazz at Lincoln Center based on his life and career. I also worked with him on several recording projects. The idea of a book was always in the back of my mind, but it was not until around 2010, when he began to experience some serious health problems, that I began to realize the time had come. It was not easy to convince a man of Joe Wilder’s humility to agree to such a project. Just as in music, where he spent virtually his entire career as the consummate sideman and team player and felt uncomfortable in the role of “leader,” he felt equally ill at ease having the “literary” spotlight shone on him. But when I argued that his struggles and triumphs, placed within a broader historical context, could inspire others, and that his insights and reminiscences could call attention to his friends and musical associates who were no longer around to speak for themselves, he allowed me to proceed. We grew even closer during this period, as I was interviewing him regularly—usually in his Manhattan apartment, but sometimes at mine in Princeton. He was a natural story-teller, and delighted in the many decades-old clippings or other artifacts I came across, which would evoke a flood of memories and more stories. Just as his playing was noted for its precision and attention to detail, Joe insisted on precision and accuracy in relating the events of his life and especially in assessing his contributions. He was loath to take credit for being “the first” in anything, even when a convincing case could be made for it. Which brings me to the subject of race. I have never met anyone who was less prejudiced (in the precise meaning of “pre-judging” a person) than Joe Wilder. From his childhood days in Philadelphia, through his early musical experiences in integrated musical groups, his work in the Broadway and network orchestras, not to mention his marriage to Solveig (she is Swedish and he became fluent in the language), Joe has shown his love for all people. As I noted in the book, his musical abilities may have opened doors, but his personality changed minds. And as Buddy DeFranco said, “Joe taught me the meaning of tolerance and acceptance.” Race did not define him, but as Joe shared his story, it became clear that at almost every juncture, race affected him deeply, both professionally and personally. 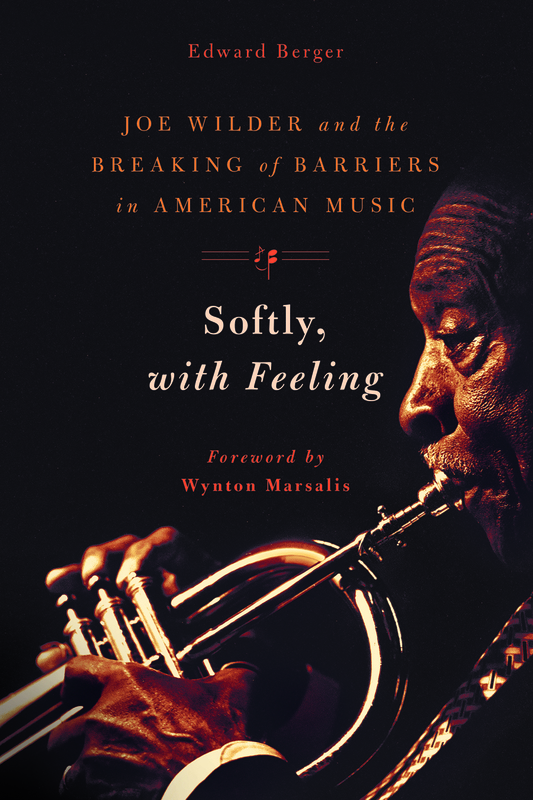 So, inevitably, it became a central theme in the book, hence the subtitle Joe Wilder and the Breaking of Barriers in American Music. As I learned about what he and his fellow African Americans faced both as musicians and human beings (and I’m sure he didn’t tell me everything), the fact that he emerged without bitterness, without hatred, and with his compassion, humanity, and humor intact, made me admire him all the more. As the editors at Temple University Press will attest, I was constantly pressing them to expedite publication of the book as I saw Joe’s health continue to deteriorate; it was becoming a race against time. They responded, and Joe lived to see the book. While I had always dreamed of him basking in whatever attention it might bring him, I feel blessed that I was able to sit with him while he held it, to page through it with him and watch him smile with recognition as he looked at the photos of him and his friends, both current and long gone. His eldest daughter told me that her mother and sisters spent hours reading the book to him at his bedside, and that they had finished shortly before he passed away.